The Clinton-Massie High School marching band. The Clinton-Massie High School marching band 2018 show is The Sun, The Moons and The Stars. 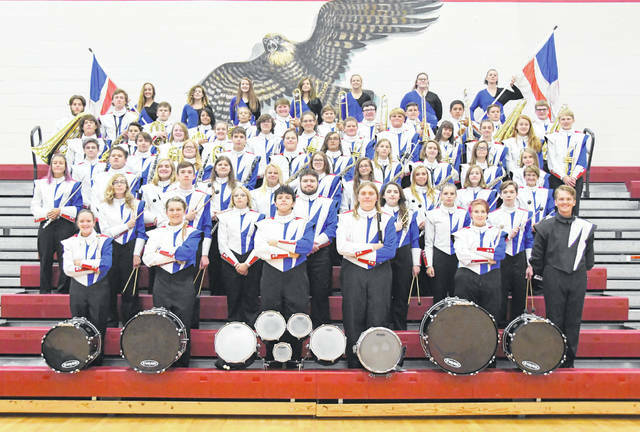 Under the direction of Christin McClain and assistant James Wiederhold, the marching Falcons will begin their competition season Sept. 22 at Hamilton. The field commander is Connor Hendrickson and the assistant field commander is Gunnar Broglin. Andrew Hall is the guard instructor and William Mullen is the percussion instructor.